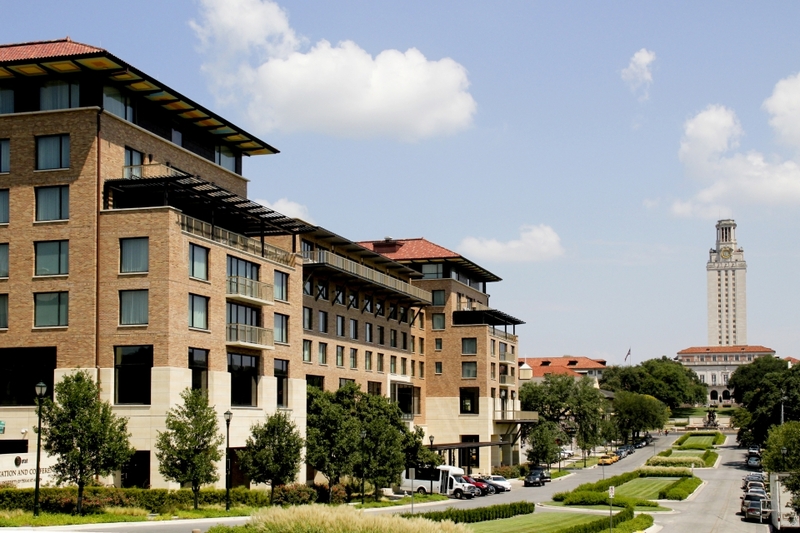 Summit attendees will be staying at the AT&T Hotel & Conference Center or the Courtyard and Residence Inn by Marriott Austin Downtown / Convention Center. At this time, both of our room blocks are closed. We hope you’ll join us on Wednesday, March 27th for WaterNow Alliance’s Impact Award Reception, sponsored by Raftelis. Transportation: The Iron Cactus is ~1.2mi from the AT&T Conference Center and 1/4mi from the Courtyard Marriott. Attendees may walk, drive, take the bus, or uber/lyft. Paid parking is available at 313 E 7th St.
WaterNow Alliance is pleased to offer limited travel funding for transportation and hotel accommodations as a courtesy to Alliance Members* (current elected and appointed city councilmembers, mayors, water district board members, and utility executive managers) who reserve their hotel rooms and flights on or before March 5th! WaterNow will cover the cost of a one night stay at the AT&T Conference Center or the Courtyard/Residence Inn by Marriott on the evening of March 27th if you reserve your room by March 5th. The cost of your room will be covered directly by WaterNow and no reimbursement forms are needed (a personal credit card will be used to hold your reservation but will not be charged). Additional room nights and expenses incurred during your stay are not eligible for travel funding. WaterNow will not cover the cost of room cancellations or no-shows. Airfare to/from Austin Bergstrom International Airport or automobile travel (for those traveling more than 50 miles each way) will be reimbursed up to $250. In order to receive airfare reimbursement you must reserve your flight and email your flight receipt to Lindsay Rogers (ler@waternow.org) by March 5th. Following the Summit, WaterNow will provide a travel expense reimbursement form to Alliance members. *At this time, WaterNow is not able to offer travel reimbursement to WNA Members who are formerly elected/appointed councilmembers or board members or to Associate Members (utility staff). Please contact Lindsay Rogers (ler@waternow.org) with any questions.